Structural insulated panels free of polystyrene. A targeted 28% cost saving for using our floor and roof system of eSIPs in comparison to conventional bearer/joist or rafter/batten system. 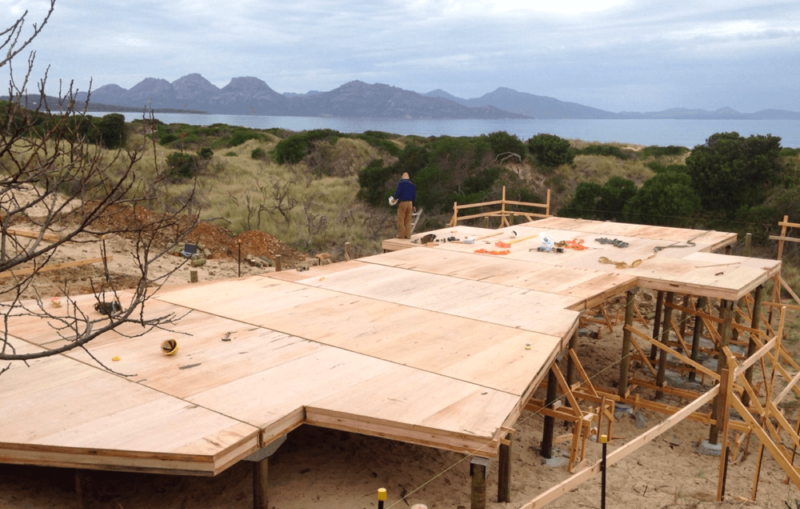 Building sites are analysed to achieve the optimal seasonal sun pathways thus giving optimal thermal performance. Thermal insulation values in excess of NCC/BCA requirements. Optimisation of passive design principles. Use of laminated timber beams using smaller waste materials from the timber industry to create dramatic load bearing members. Maximum use and infiltration of natural light. Thermally broken window frames and double glazing for superior thermal performance. Compatibility with off grid systems for energy, water and waste. Low energy fittings and appliances. Smart walls for services to reduce plumbing and electrical construction costs. Valley Workshop’s building system outperforms traditional prefabrication. In collaboration with engineers, Valley Workshop’s building system has been developed to deliver superior environmental performance. We are use the most innovative technologies available in Australia to date in the form of structurally insulated panels. These reduce thermal leakage in a building, thus reducing the life cycle costs when compared with a conventionally built home. We have improved the structurally insulated panel and making it more environmentally friendly, a petrochemical free structurally insulated panel (free of polystyrene). We use Tasmanian grown plantation eucalyptus hardwood as our members and Tasmanian grown plantation eucalyptus plywood as our panel skin. 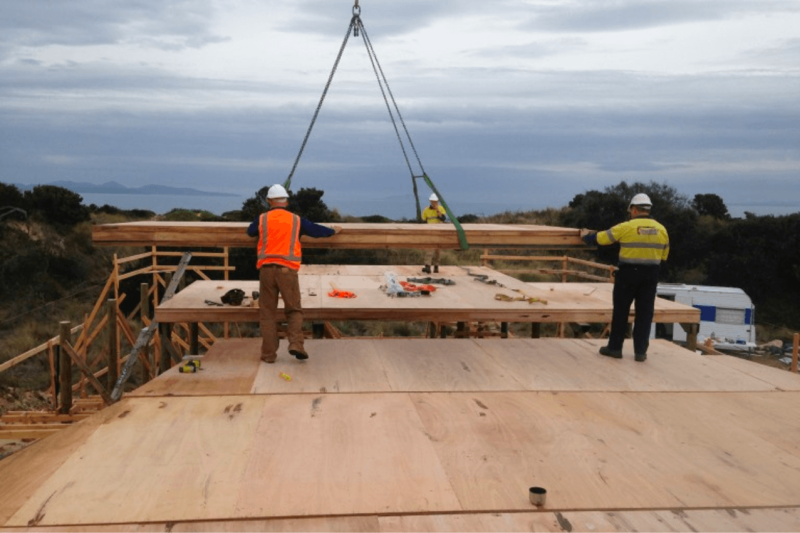 We are supporting a forestry industry that generates the use of locally harvested logs from Tasmanian plantation forests with smaller diameters for our plywood skins. These logs would otherwise be milled as wood chips and sent off shore. We are an Australian first to be delivering this to our clients. Valley Workshop’s building system includes an internal and external vapour barrier. Traditional thermal insulation separates the indoor and outdoor environments. The temperature difference between the two climates attempts to equalise through air flow across the building structure. The inclusion of an internal and external layer of building wrap significantly improves the thermal performance of the building envelope, a key advantage of Valley Workshop’s building system compared to traditional construction and other prefabricated systems. Embodied energy is the measure of total energy used to convert raw materials to building products. Timber has the lowest embodied energy of any major building material. 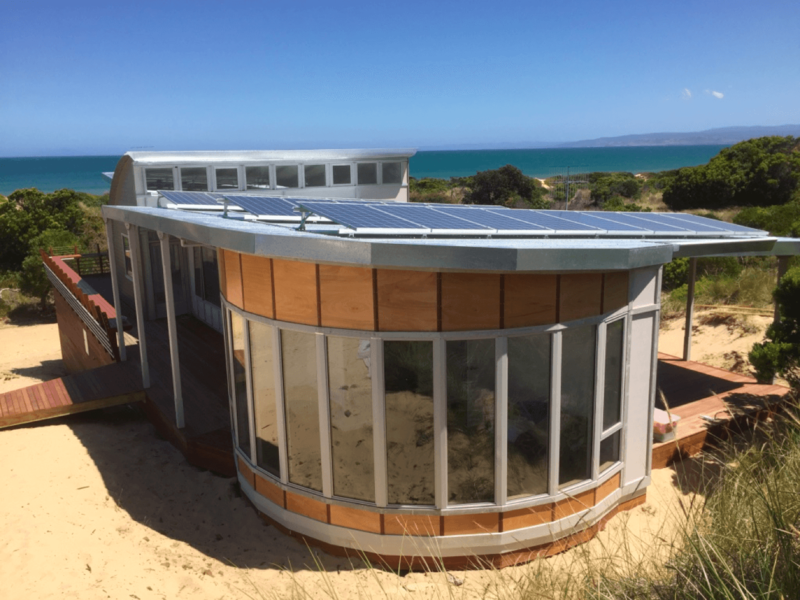 Specifically developed around timber framed construction, Valley Workshop’s building system uses significantly less embodied energy as compared to steel or aluminium framed or masonry structures. By example, on a weight for weight basis, aluminium requires 1500% times the energy to produce and steel requires 300% times the energy to produce in comparison to timber. In addition timber stores atmospheric carbon and therefore acts as a greenhouse sink actively reduces the amount of carbon released into the atmosphere. In this way Valley Workshop’s building system offers a reduced environmental impact as compared to masonry construction and other steel prefabricated systems. 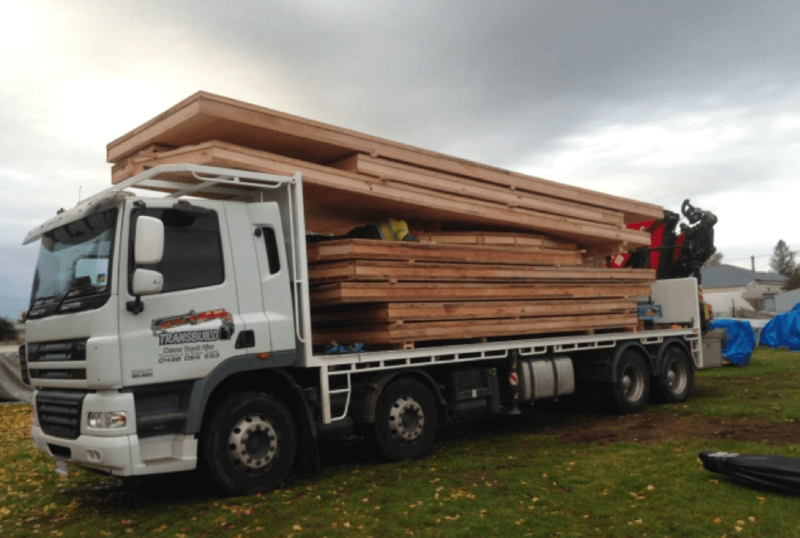 We source our timbers from local Tasmanian suppliers, resulting in our materials have less carbon miles. 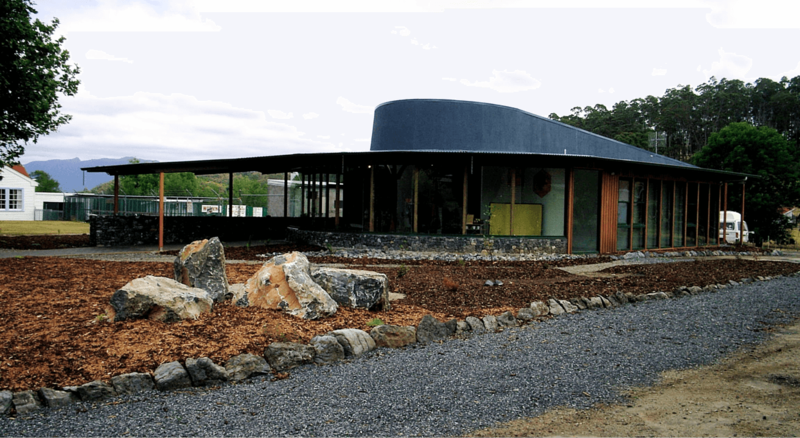 Through intelligent manufacturing we are a leading example of how the industry practices in Tasmania should progress for a more sustainable forest industry in Tasmania. Timber – the perfect natural building material. All of our buildings are timber framed and adaptable to a range of internal and external cladding materials. Timber is a far superior insulator than brick, concrete, aluminium and steel. It is renewable and economical. All of our timber is sourced from either local Tasmanian plantation or sustainably managed forests. For commercial applications timber framing offers the versatility and cost efficiency of lightweight construction. It is adaptable to a range of site conditions through footing systems such pad footings, bored piers and strip footings. Timber has significant less embodied energy than other common building materials. Our timber wall cladding uses short lengths created as a by-product of machining full length weatherboards, our design for use of these short boards avoids sending offcuts from this process to land fill. Our buildings are handcrafted from our Westbury workshop. Each project is supervised by our architect, construction and project manager, individually built by our in-house construction team and delivered in close consultation with our onsite build team and the client. Our established workshop combines the best of traditional carpentry techniques with the precision of modern production facilities. Through this approach we are able to exceed site based build quality and construction tolerances. Structurally Insulated Panel (SIP) Research and Development. At Valley Workshop we build with structurally insulated panels in our flooring and roof. These are 21st century building methods which allow greater spans in the building process, reduces thermal leakage and reduces time consuming onsite building processes. We are the first building company in Australia who are building with a Structurally Insulated Panel that is free of polystyrene. To date the structurally insulated panels that are available in Australia have a polystyrene rigid core and are limited to a 1.2 metre width. Polystyrene is an environmental disaster, there are islands of it floating in the Pacific Ocean. 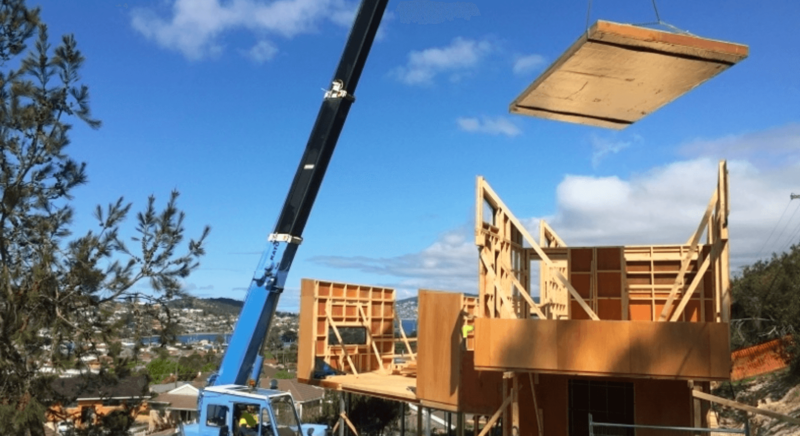 Australia’s Structurally insulated panels to date use an outer skin of steel which is high in embodied energy or oriented strand board which is imported. We are using timbers from sustainably managed plantation forests that would otherwise be milled as woodchips. Each project is supervised by our architect, construction and project manager. House components are individually built by our in-house construction team and delivered in close consultation with our design team and the client. Our established workshop combines the best of traditional carpentry techniques with the precision of modern production facilities. South Hobart - Currently Under Construction.